Home » Blog Articles » EZ Guy Recipes » Take the Top Off! The open face sandwich is the convertible of sandwiches – take the top off, and you’re in for a better ride. They’re also an easy way to eliminate empty carbs while enjoying your favourite one-handed lunch. 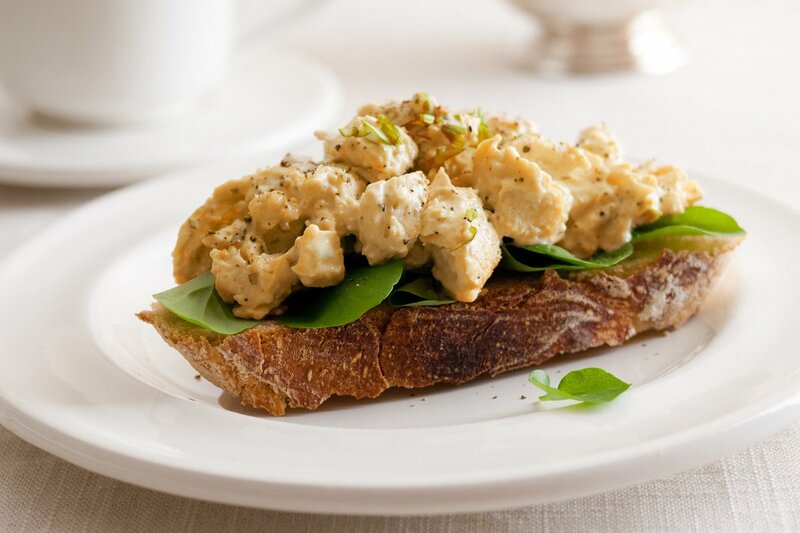 If you’ve never tried curried chicken salad, you’re in for a treat. This meal is packed with flavour! You can eat it on its own, or spread a few scoops on a slice of bread. Spoon onto bread, add greens on top – and you’re ready to eat!